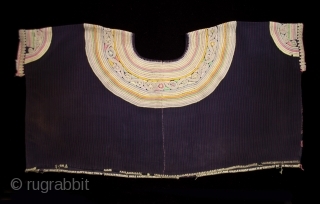 Huipil (blouse) Joyabaj, Guatemala Cotton 1970s 30" (76.2 cm) wide by 16" (40.6 cm) high Ex. 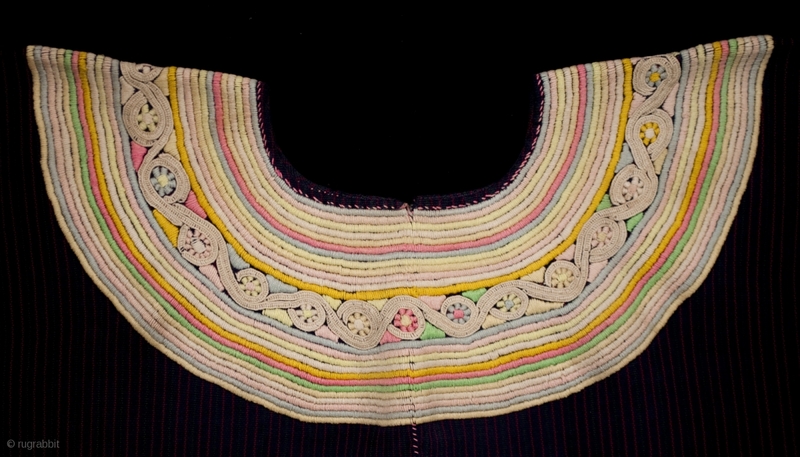 private San Francisco collection The handspun cotton threads for this huipil are woven in two long panels on a back strap loom with warp stripes in red and green. 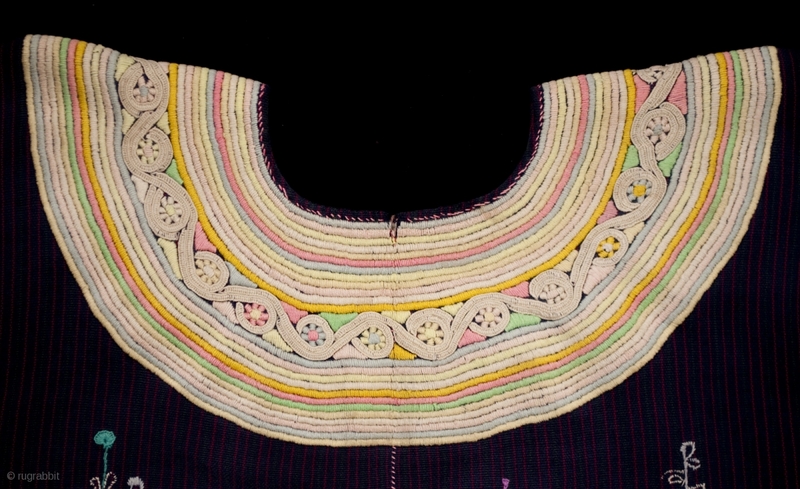 The arm holes and circular neck opening are embroidered with concentric circles typical of Joyabaj huipiles; the arm holes are finished in crocheted cotton. 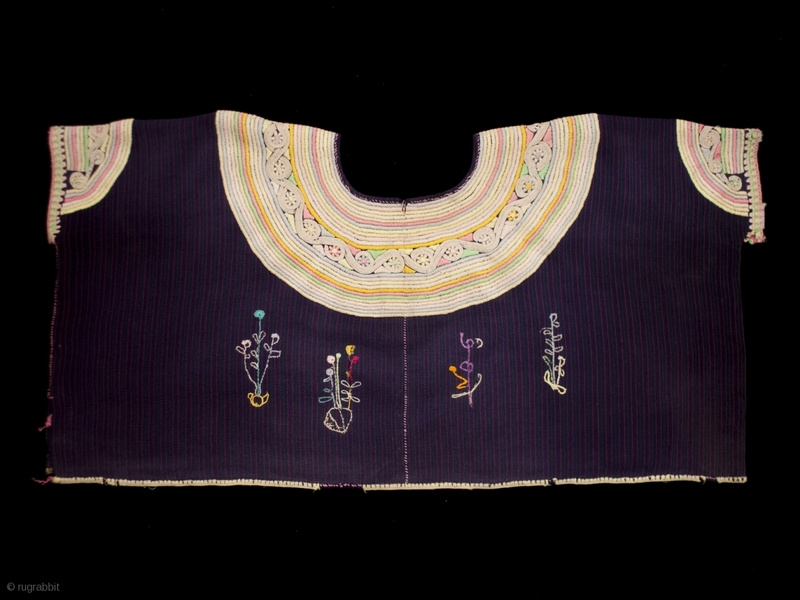 On the front are four quirky embroidered floral arrangements. There is a small cut into the neckline at front and back center, possibly to enlarge the neck opening.